Jacqui Barrett is a Corporate & Commercial Partner with Hall & Wilcox, a preeminent business law firm. Jacqui complements her broad experience across industry sectors with deep expertise in a wide range of corporate and commercial legal transactions, with a particular interest in mergers and acquisitions, corporate restructures, corporate advisory, corporate compliance and governance (including directors’ duties) and employee equity plans, capital raisings and managed investment schemes. 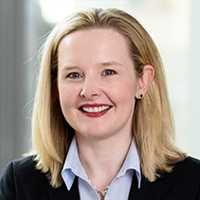 Jacqui also has extensive experience assisting clients with day to day legal issues affecting their business including management of intellectual property, contract and consultancy arrangements, terms and conditions and privacy and confidentiality issues. She acts for a wide range of clients including large public and private companies, small listed companies, not for profits and private clients. Jacqui’s down to earth and practical, commercial advice is valued by her clients. She is very solution orientated and understands the importance of achieving her clients’ business and commercial objectives, as well as meeting legal requirements.